Deciding to get professional level Huntsville lawn mowing is one of the smartest choices you can make as a homeowner. In order to have the best looking yard around you have to be able to stay on top of ongoing and regular lawn maintenance but who has time for all of that? Your schedule keeps you busy enough as it is but you certainly don’t have time for regular lawn mowing as well. The problem with that is that it won’t take long for your yard to look overgrown and unkempt. Plus, when you do have time to cut it will you know how to also be on the lookout for potential problems such as insects or disease. So why not let the experts at Five Star Lawn and Landscaping, Inc. take care of the work for you? This is one of the best ways you can make your yard always looks its best and know that it is under the trained and concerned eye of our expert level professionals. We work with each individual client to find out more about what it is that they hope to achieve with ongoing Huntsville mowing services. From there we are able to devise a plan of action in order to carry out the schedule for taking care of your lawn maintenance. No matter what the size of the yard, we can take care of it for you. Stop wasting your precious time off trying to take care of mowing your yard when our pros could be doing it for you. The truth is that the average untrained expert never really cuts the grass the right way, anyway. It may not seem that important, but it is. An expert knows little details like what height to cut it at. Cutting your grass the “wrong” way can actually do more harm than good. So to ensure the proper maintenance of your lawn, let our team of experts take care of this task for you. Help make your yard look its best by letting our experts take care of your lawn maintenance. 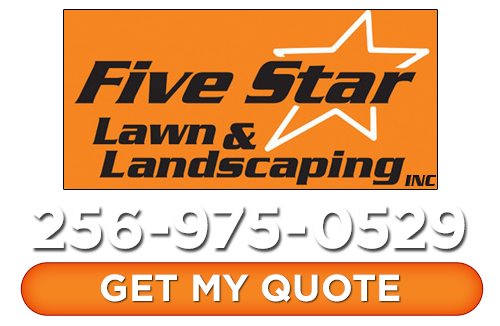 For the best Huntsville landscapers, you already know the name to trust is Five Star Lawn and Landscaping, Inc. 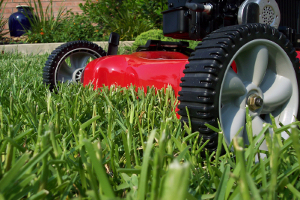 So why not refer to us for all of your tasks including regular mowing services. We are unwavering in our focus on offering the best in professional services to our local clients. And we don’t expect you to settle for anything less than the best. This is just part of what sets us apart from our competition and has become the norm for what our clients expect. Contact us today to set up your Huntsville lawn mowing services. Are you Ready for Spring? How About Those Lovely Weeds? If you are looking for a lawn mowing services in Huntsville then please call 256-975-0529 or complete our online request form.